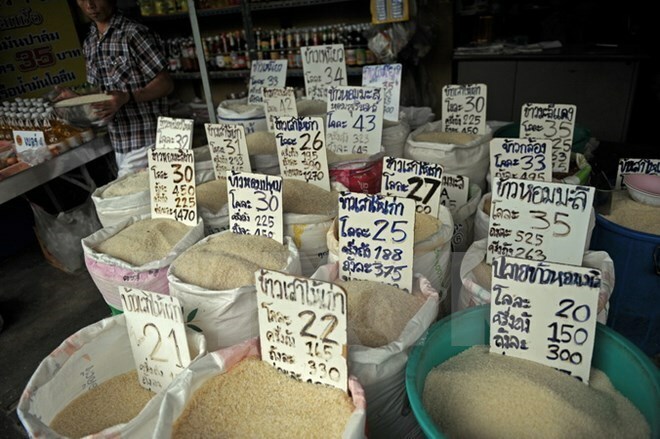 Bangkok (VNA) – The Thai Government has launch three additional initiatives to support farmers, which were approved at the August 4 meeting of the National Rice Policy and Management Committee chaired by Prime Minister Prayut Chan-ocha. The Thai Government will provide a credit package of 46.25 million THB (1.39 million USD) for farmers of agricultural groups, cooperatives and businesses operating in rice trading and processing. In addition, it will allocate 940 million THB (28.27 million USD) with discount interest rates for cooperatives and rice husking businesses, helping farmers store rice for between two and no more than six months. Farmers transporting rice to store houses will receive an allowance of 1,000 THB (30 USD) per tonne in cash. Those who settle their loans will receive a deposit of 500 THB (15 USD) per tonne from the government while each household will receive financial support of no more than 12,000 THB (361 USD) a crop. The initiatives aim to increase rice value and address financial problems for rice growers, especially those in areas affected by recent floods.